The giving and receiving of a Shimansky diamond marks a moment and a milestone that will be remembered forever – and not only for the love and commitment it symbolises but because of the trust and confidence it inspires. “The beauty of a perfectly cut diamond lies not just in its exquisite aesthetics, but in the way it makes you feel." try it on for free. Choosing a jewellery creation for your significant other is truly a rewarding experience and a journey we’re delighted to guide you on. Shimansky offers a wide variety of forever elegant designs certain to bring a smile to your face. We invite you to visit the wonderful world of Shimansky and try on our beautiful creations for free. Visit our store for special offers available just for you. 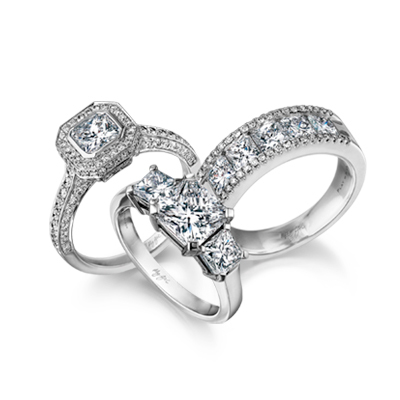 Our diamond experts look forward to assisting you in-store.